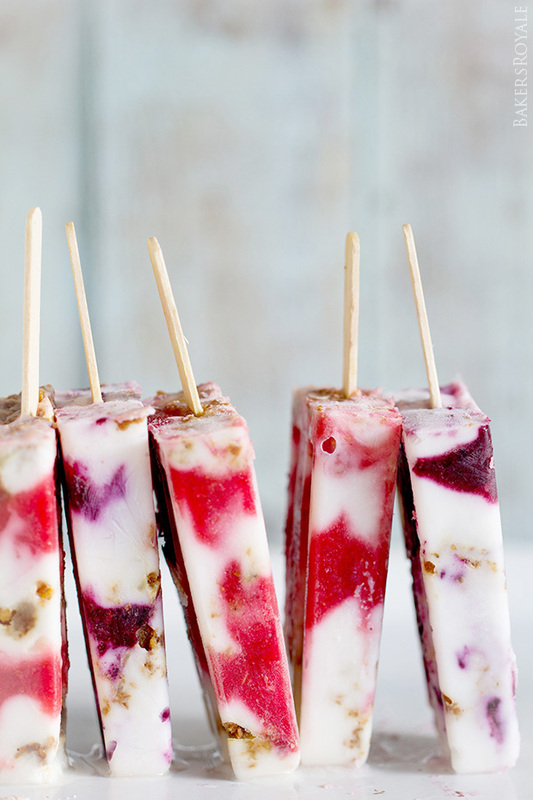 Peaches are ripe and in-season at your market right now, and we had healthy peach recipes for you to use them each day this week. 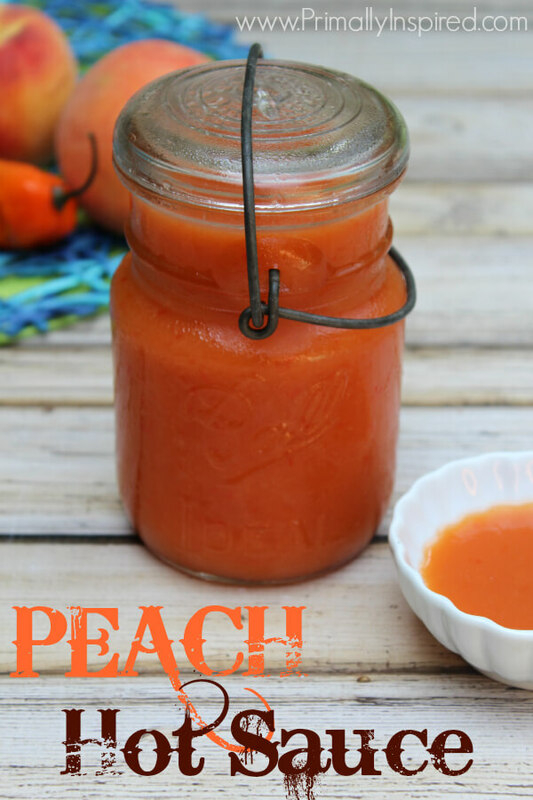 First up is an Easy Peach Hot Sauce to spice up any summer meal with fresh fruit flavors. Make these Roasted Pork Chops and Peaches for an easy, filling meal with all the flavors of summer. 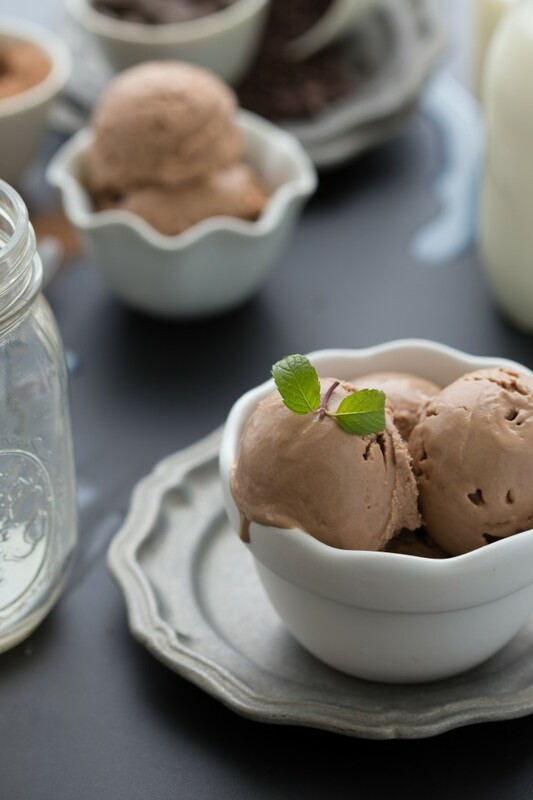 This Fresh Peach Salsa is the perfect summer dish to bring along to dinner parties or potlucks. 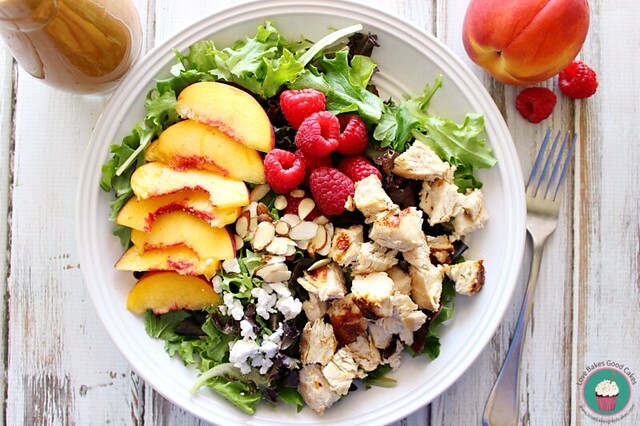 Peach and Raspberry Chicken Salad makes a fresh and flavorful meal for lunch or dinner. 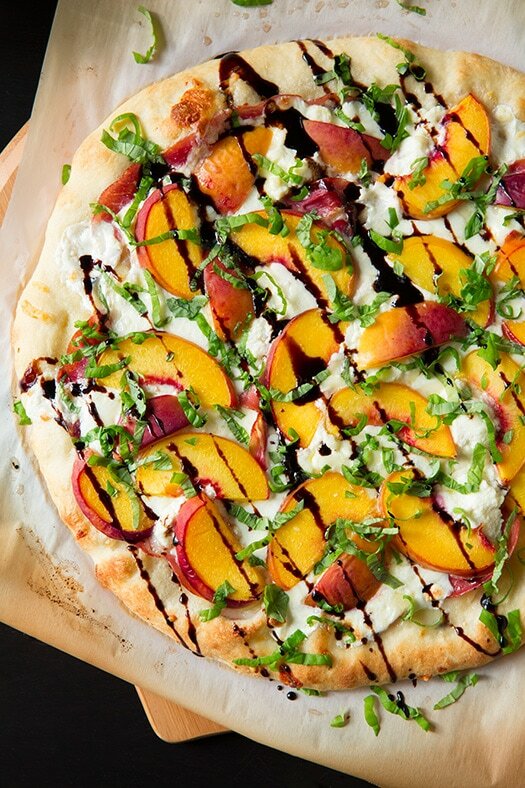 Peach and Prosciutto Pizza with Basil and Honey Balsamic Reduction puts a whole new spin on peach pie, perfectly balancing sweet and salty flavors.